A North Carolina farm is recalling more than 200 million eggs over concerns that the eggs have been contaminated with salmonella. Rose Acre Farms of Seymour, Indiana, announced that it would “voluntarily recall” 206,749,248 eggs shipped throughout the country from their farm in Hyde County, North Carolina. The Food and Drug Administration (FDA) issued a notice about the recall Friday, warning consumers that 22 illnesses have been reported in states along the east coast of the U.S. because of the eggs. FDA commissioner Scott Gottlieb tweeted that the eggs had been sold in nine states “under multiple brand names”—including Great Value, Country Daybreak, Food Lion, Crystal Farms, and Sunshine Farms—and warned consumers not to eat the eggs if they come across them. Rose Acre Farms issued the recall after several people reported illnesses from the eggs and the FDA inspected their North Carolina farm. Consumers can tell if the eggs they have were affected by looking at the plant number and Julian date range on the side of the carton. 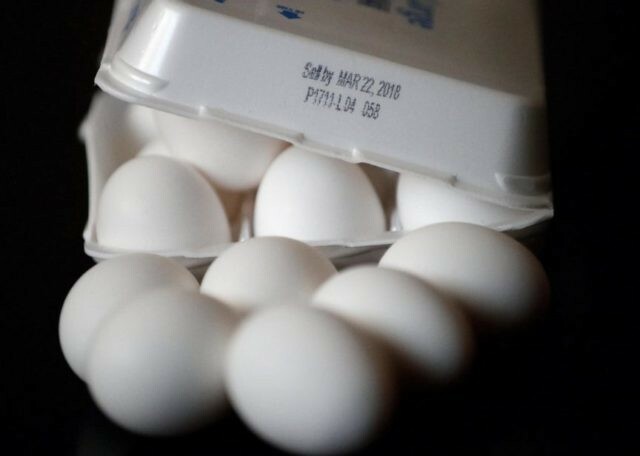 The FDA noted that the affected eggs had a plant number P-1065 and a Julian date range of 011 to 102 printed on the side of each carton or package.